The wonder I have had in the 80 years that I have known the presence of God in my life is difficult to put in to words. It is similar to attempting to explain the feeling of love one has for another to someone who has no inkling from experience of the emotional overload that occurs when in love, to someone who has never experienced that one-on-one impact. The most powerful part of the experience of the presence of God in my life is I have learned to trust that God will create only the best for me in my life. I have learned to trust that I will be given everything I need (note that I did NOT say everything I desire, or even want, but what I NEED) to fulfill my purpose in life – that is, to arrive at the end of life knowing that I am ready to move on in my levels of experience. I have learned to trust: that powerful word, trust, is the key to joy and happiness in life. This level of trust voids the need to worry about life, for I know that all will be well, no matter what occurs in life. Yes, I know I will pass from this plane, but that is part of life and is the key to the next level of existence. Just being able to trust in the love of God, knowing that God wills only the best for me, even though life includes pain and sorrow, as well as joy and happiness, is the greatest relief possible in life. Even in the midst of pain and sorrow (death of those you love and physical pain, as well as mental anguish) just knowing that God is right in the midst of all that is, including the pain and sorrow, takes away the fear and loneliness that usually accompany that pain and sorrow. Above all, it removes all worries from swamping the mental freedom that we have. Yes, pain and sorrow are there, but so is the joy of being assured that God is overwhelming that event with Love that is the All in All, even when I could not feel it. God is Love, that hidden support through all of life. Especially during the times of pain and sorrow, the Love that is God Itself (God IS Love, not that God has love) saturates the inmost self and sooths the hard edges that can consume one with anger and grief. It is during the hard times of life that the Love of God permeates the greatest pain, and just by being aware of that Presence that fills the corners of life relieves the bitterness and the feelings of “Why me?”. Everyone has periods of suffering in their life, as suffering is a normal part of life. It is through suffering that we achieve the closest internal relationship with God, and it appears that it is, for most humans, only through suffering can we reach the bliss of Joy and Happiness that is part of being aware of the Oneness of God. As strange as it seems, pain and suffering are the normal for all that exists, even the dust in space. 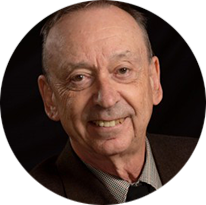 If all is a part of the Being we call God, how does the intense heat and pressure of the internal workings of a star, or closer to home, our sun, figure into the idea that God is only peace and light? How does the suffering of Jesus come into this spectrum of only peace and light? Indeed, it is through the rough times of life that we grow and mature, gain compassion, when our faith is tested by difficult situations we learn to trust in the innate goodness of God, simply because we have no choice. The death of Jesus in pain and horror illustrates that God is joined with humanity at the hip, and it is in the deepest pain and suffering that we find the true freedom of God’s love. I have mentioned that I have clinical depression, perhaps not as serious as many others who are inconstant pain, but at times still an extremely damaging and painful experience. Erratic behavior that threatened everything I hold dear, thoughts of suicide to release the internal pain, and other deadening behavior appeared very often in my life over the years. But somehow I was always aware of the corner of my life that held my image of God holding me, and that led me away from the precipice I was poised upon. I learned to surrender myself into the Love of God that was always at my edge, and even when the most painful moments occurred I learned to act as a child, and just trust in God. As Jesus said: “Whoever takes the lowly position of this child, is the greatest in the kingdom of heaven.” (Matthew 18:4). The simplest trademark of a child is the lack of guile, the ability to trust. It is the loss of that ability, to trust, that takes a child away from the basic trademark that Jesus mentioned, the “lowly position of this child”. The willingness to trust is the mark of the wonders of a child, and we have to regain that ability once more to achieve the joy and happiness that is ours by our nature. Even when in the depths of depression I still trusted that God would show me the way out of the morass I was in, and bring that joy and happiness that I knew was just around the corner. I have learned that God is more tangible during periods of pain and suffering than any other time. That is, I consider my periods of depression a blessing in disguise, for they forced me to constantly place myself in surrender to God, my only help during those moments. Those moments of pain led to stronger awareness and appreciation of the Joy and Happiness found in letting myself sit wrapped in the Love of God. All life has periods of pain and suffering, sometimes stark due to illness or the death of a loved one, and sometimes just the aging process when we realize that, indeed, life has a termination and find that thought frightening. Indeed, our time is but a breath of time, and passes oh-so-quickly. 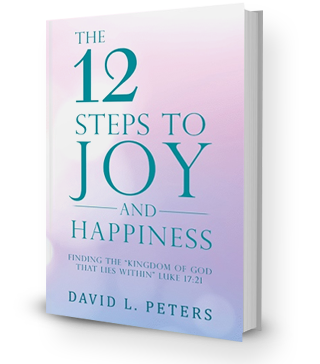 My book, “The 12 Steps to Joy and Happiness, Finding the ‘Kingdom of God that lies within’ (Luke 17:21)” teaches the method I have followed for over 60 years for finding peace in life, free from worries and fear, having the strength of the infinite power of Life itself to assure me that All is Well, indeed. My guide, my home, You have given me hope and peace even when things appeared bleak and lonely. It was in those moments of despair that I could find Your gentle Love pulling me into a moment of recognizing that all is well, despite how I felt. You have breathed love into my life at its most bleak times, usually through the unstoppable love of my soul-mate, my wife. It has been through the tangible love that flowed through her that I felt Your love at its strongest. I bow in gratitude to that gift of Your eternal love in the loving arms of my beloved. May all find a source of love that holds one closely, and see the eternal joy that radiates from that union that is but a reflection of Your eternal Love.